Editor's note: "Al Qaeda," a five-volume collection of writings about the terrorist network, edited and introduced by CNN Terrorism Analyst Paul Cruickshank, was published last week. Al Qaeda leader Ayman al-Zawahiri again referenced the Benghazi, Libya, attack in an audio tape posted on jihadist websites last week, in remarks that, like all his statements, were immediately carefully scrutinized by counter-terrorism analysts searching for clues about the terrorist network's operations. Al-Zawahiri had called for Americans to be targeted in Libya the day before the diplomatic mission was attacked, leading to speculation that al Qaeda's leadership in Pakistan had some sort of role or influence in the attack. Al-Zawahiri made the passing reference to the September 11 attack on Benghazi in a message addressed to al Qaeda's affiliate Al-Shabaab in Somalia, in which he also referenced violent protests outside U.S embassies in Egypt and Yemen that occurred just before and just after the Benghazi attack. But notably, the al Qaeda chief did not claim responsibility for the deadly attack in eastern Libya. U.S. and Libyan officials believe the attack in Benghazi was carried out by pro-al Qaeda jihadists, and are investigating the possible involvement of members of a local constellation of Islamist militants known as Ansar al Sharia, as well as regional extremist networks, including al Qaeda in the Islamic Maghreb (AQIM) and al Qaeda in Iraq (AQI). The killing of four Americans, including the ambassador, in such a high-profile attack was hailed as a victory by al Qaeda sympathizers on online forums, after a series of setbacks in recent years for the terrorist network and its allies, and their failure to hit back at American interests. But al-Zawahiri has notably not taken credit for the September 11 attack on Benghazi, despite the fact he called for an attack on Americans in Libya in a tape released on the eve of the assault on the U.S. compound. His specific call in a 9/11 anniversary video for Libyan jihadists to attack Americans to avenge the death in a drone strike in the Afghanistan-Pakistan border region of senior Libyan al Qaeda operative Abu Yahya al-Libi in June was circulating at least 18 hours before the attack on the compound, according to terror analyst Ben Venzke of the terrorist-monitoring group IntelCenter, leaving open the possibility that it played a role. The video was the first time al-Zawahiri acknowledged al-Libi's death. The attack on the U.S. mission and CIA annex in Benghazi appears to have been exactly the sort of terrorist attack al-Zawahiri was for years pressing for internally within the al Qaeda organization. Intelligence retrieved from Osama bin Laden's Abbottabad, Pakistan, compound following his death in May 2011 indicated al-Zawahiri disagreed with bin Laden's focus on attacking the U.S. homeland, and pressed for the group and its affiliates to focus on the more achievable goal of attacking U.S. interests in the Muslim world, according to the Washington Post. But Venzke told CNN in September that given the timing of al-Zawahiri's September 10 statement, it was hard to believe the message from al-Zawahiri instigated the attack in Libya. Other analysts suggest it is possible al-Zawahiri was given some advance warning that an operation against American interests was in the works in Libya, and say that his September 10 statement may have served as a "go" signal for the attack. Intelligence recovered from Abbottabad revealed that al Qaeda leaders in Pakistan were more regularly in communication through couriers with the leaders of affiliated groups in North Africa and the Middle East than many terrorism analysts previously believed. According to several news reports, one group suspected of possible involvement in Benghazi attack is a network run by Muhammad Jamal Abu Ahmad, an Egyptian militant formerly part of al-Zawahiri's group released from prison in Cairo in 2011. Citing Western officials, the Wall Street Journal reported Jamal petitioned al-Zawahiri to set up an al Qaeda affiliate, suggesting the possibility he may have been in communication with al Qaeda's leader. 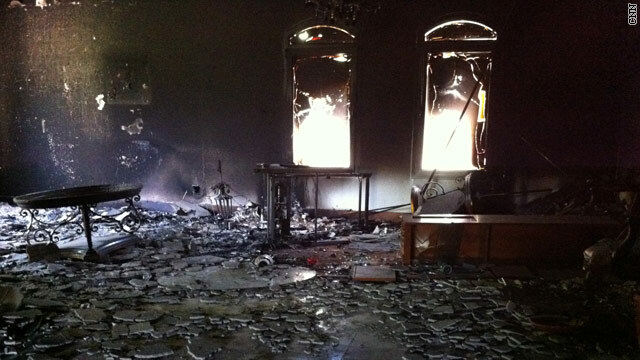 But U.S. officials have told CNN they believe it is unlikely that "core" al Qaeda was behind the Benghazi attack. Some officials believe the operation, though not spontaneous, was quickly put together - after the perpetrators heard that violence had broken out at the U.S. Embassy in Cairo earlier that day - rather than the result of weeks of planning. Aaron Zelin, a research fellow at the Washington Institute for Near East Policy, told CNN that al-Zawahiri's most recent statement points against the main al Qaeda group being involved. "Nowhere does Zawahiri claim responsibility for the attack in Benghazi or involvement with the demonstrations in Egypt or Yemen. This suggests that while Zawahiri approves of it, actual links between these actions and al-Qaeda Central in Pakistan are probably thin," he told CNN. But Noman Benotman, a senior analyst at the Quilliam Foundation, has said an al-Zawahiri role in the attack should not yet be ruled out. "My guess is that Zawahiri knew something was in the works before releasing the tape," he told CNN in late September. "It would have been very strange for him to wait so long otherwise before acknowledging the death of Abu Yahya al-Libi." Benotman indicated that if al-Zawahiri did have a role in the Benghazi attack, he may delay claiming responsibility for a variety of reasons, including not wanting to provoke the kind of U.S. response in Libya that might jeopardize his wider strategic goals. "Remember it took Zawahiri a whole year to claim responsibility for the July 7, 2005, London bombings," Benotman told CNN. Benotman, a former leading member of the Libyan Islamic Fighting Group who last met al-Zawahiri in Afghanistan in 2000, believes Zawahiri's priority in Libya is to create a safe-haven for the terrorist group as part of a strategy of encircling Egypt, a country long viewed by the Egyptian as the ultimate prize. In the past year pro-al Qaeda jihadists have significantly expanded their presence to the east of Egypt's population centers in the Sinai and to their west in eastern Libya. Al-Zawahiri in statements since the Arab Spring has urged followers in Libya to make preparations for a possible armed campaign against any pro-Western government that might emerge in the country. "Prepare, and be ready and recruit," al-Zawahiri stated in September 2011, after the fall of the Moammar Gadhafi regime . Benotman told CNN he believes the reason no militant group in Libya has yet come forward to claim responsibility for the consulate attack is they fear they would be blamed for the resulting backlash against jihadists in the country. Al-Zawahiri first mentioned the Benghazi attack in an audio tape released on October 12 in which he praised the perpetrators. "Greetings to the honorable free ones protecting Islam, and (greetings) upon those who raided the American embassy in Benghazi, and the ones who protested in front of the American embassy in Cairo and downed its American flag and raised instead the flag of Islam and jihad. And I invite them to continue their confrontation with the American Crusader-Zionist aggression on Islam and Muslims, and I invite the rest of Muslims to follow their lead," he stated, according to a translation by Flashpoint Partners, an American outfit tracking jihadist websites. Basically our enemies have learned that it will take the glorious leaders of our military 1 hour to convene a meeting to discuss options to respond to an attack and another 4 hours to decide to start moving poorly positioned resources in the general direction of the attack, even on a day when they should have been on alert and in locations where they should be ready to act. Next time around if Panetta doesn't have any use for his army for a few hours, he might think about loaning it to me, I might be able to find something to do with it. Most of this news is old. It seems to me that CNN doesn't have much enthusiasm for reporting on this story. If we're to believe the narrative that Al-Queda is defeated then full and rigorous reporting would go a long way to allaying fears of the opposite. Right now it seems like CNN is helping cover something up. Al-Zawahiri figured out that Al qaeda has the upper hand? Obama turns a blind eye on issues, threats and terrorism. With the massive US Defense reduction of troops and equipment the US are sitting ducks. Good grief boltshaker, do you honestly believe in what you posted above? If there is one thing that we Americans are not, that's sitting ducks for anybody! Besides, inasmuch as al-Zawahiri wanted to, it is quite probable that neither he nor Al-Qaeda had the ability to attack the U.S. Consolate in Benghazi or elsewhere!! !